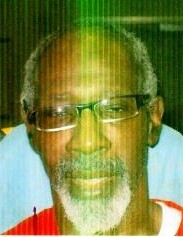 Mr. Larrry A. Wilson, 68, of Charleston, SC, entered into eternal rest on Thursday, November 1, 2018. The relatives and friends of Mr. Larry A. Wilson are invited to attend his Funeral Service 11:00 AM, Saturday, November 10, 2018 at New Francis Brown United Methodist Church, 2517 Corona Street, North Charleston, SC. Entombment - Sunset Memorial Gardens, North Charleston, SC. Viewing will be held Friday, November 9, 2018 from 3:00 PM - 7:00 PM at the mortuary. Mr. Wilson is survived by his daughters, Sonya Wilson and Shaniqa; sisters, Deborah, Danese, Karen Smalls, Tanza Smalls; brothers, Trevor McNeil, Robert Smalls Jr., Phillip Smalls, Paul Smalls and James Smalls; and a host of nieces, nephews, relatives and friends.